about technology and it was really fun "
Active learning has never has been so much fun! Active STEAM is coming to help young children understand concepts in Science, Technology, Engineering, Arts and Maths … whilst enjoying physical activity at the same time. It’s a program for primary school children that incorporates innovative technology and physical activity in a fun and engaging way. 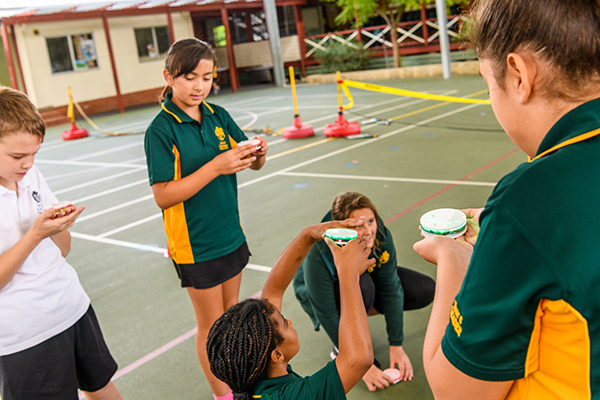 Combining two critical parts of the curriculum – namely physical activity and STEAM – this entertaining and engaging program is designed to appeal to a diverse range of children with varied interests and different learning styles. Active STEAM uses proprietary technology, designed and built by KIDDO’s industry partner, Mr Marc Kaye of CAD-LINK. This includes a range of hand-held sensor-based devices that can be used independently or as a network being developed to support Active STEAM sessions. Currently, the Active STEAM team is creating a physical and online system that will allow educators, parents and children to explore our technology and enjoy our activities. Contributions from the community will be welcomed, with new lessons and ideas made available to all. The production phase of Active STEAM is now well advanced, with the technology and associated programs available to schools from 2019.